What’s on the Dock(et) this week on the Seacoast! –Spaghetti Western Pop-Up Series at Liars Bench Beer Co. (5:00 – 9:00). –Wake-Up Power Yoga at Colonial Bicycle (6:00 – 7:00). –Intro to Wood shop at Port City Makerspace (6:00 – 9:00). –Catapult Lunches at Cafe Espresso (12:00 – 1:00). –Western Wear Wednesdays at Ore Nell’s Barbecue (4:00 – 9:00). –The Half Time Show w/ James Gilmore at Tributary Brewing Co. (5:30 – 7:00). –Erin’s Guild Duo Live at RiRa Portsmouth (7:30 – 10:00). –Elf The Musical at The Music Hall (7:30 – 10:00). –Wing Wednesday at Thirsty Moose Taphouse (5:00 – 10:00). –Wednesday Night Trivia at Thirsty Moose Taphouse Portsmouth (8:00 – 11:00). –Open Mic Night at Portsmouth Book & Bar (7:30 – 11:00). –Drop-In Drum Circle at PMAC (12:00 – 1:00). –Cult Classics: The Princess Bride at Cinemagic Stadium Theaters (8:00 – 9:50). –$10 Burger & Brew Day at Maine Beer Cafe (12:00 – 8:00). –Festival of Trees at Exeter Town Hall (11:00 – 8:00). –Three Striking Voices at The Word Barn Exeter (7:00 – 9:00). –Modern Calligraphy Night at Cup of Joe (6:30 – 8:00). –Healing Tea Happy Hour at Cup of Joe (5:30 – 7:00). –Katie Matzell at Portsmouth Book & Bar (8:00 – 10:00). –Wicked Chicken Rotisserie Night at Vernon Family Farm (5:00 – 6:00). –Rock, Paper, Scissors Artist Opening Reception at 3S Artspace (5:00 – 8:00). –Button Factory Open Studios at Button Factory Studios (5:00 – 8:00). 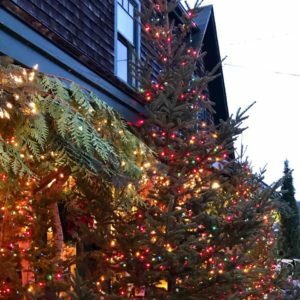 –Tree Lighting Ceremony in Dock Square Kennebunkport (5:30 – 6:30). –Evan Goodrow at Latchkey (9:00 – 12:30). –Cape Porpoise Lobster Trap Tree Lighting at Cape Porpoise (7:00). –Annie at Seacoast Rep (8:00 – 10:30). –Elf the Musical at The Music Hall (2:00, 7:00). –Visit with Santa at Noggin Factory Dover (10:00 – 12:00). –The Nutcracker at Kittery Community Center (2:00 – 3:45). –Festival of “Fostering” Trees at Foster’s Downeast Clambake (9:00 – 8:00). –Holiday Craft Drop-In at The Portsmouth Public Library (11:00 – 1:00). –Button Factory Open Studios (10:00 – 5:00). –Christmas Festival at Tendercrop Farm (11:00 – 3:00). –Annie at Seacoast Rep (2:00 – 4:30). –Exeter Holiday Parade at Exeter Downtown (5:00 – 10:00). –Bearly Dead at 3S Artspace (8:00 – 11:00). –Elf The Musical at The Musical Hall (12:00 – 2:30). –Brunch at BRGR Bar (11:00 – 2:00). 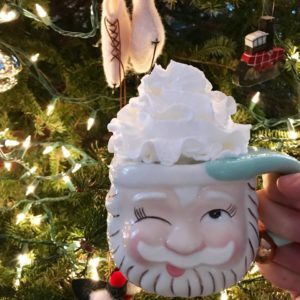 –Holiday Extravaganza at Ocean Fire Pottery’s (10:00 – 5:00). –SoWa Winter Festival in Boston (11:00 – 5:00). –Bluegrass Brunch at Blue Mermaid (10:00 – 4:00). –Yoga at Throwback Brewery (11:00 – 12:00). –Annie at the Seacoast Rep (2:00 – 4:30). –Vintage Bazaar Holiday Pop-Up in Amesbury (10:00 – 5:00). –S’mores & Santa at The Boathouse Waterfront Hotel & Restaurant (11:00 – 3:00). –Santaland Diaries at Seacoast Rep (7:30 – 9:30). –Acoustic Monday at Earth Eagle Brewings (6:00 – 9:00). –Happy Hour at Vida Cantina (4:00 – 6:00). 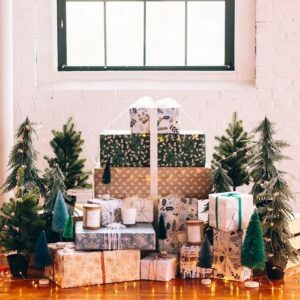 –Stranger Than Fiction Presents: Christmas at Hogwarts! at Seacoast Rep (8:00 – 10:00). –Trivia Night at Blue Mermaid (7:00 – 9:00). –Holiday Extravaganza at Stepping Stones Learning Center (6:00 – 7:30). –Writer’s Night Out at Portsmouth Book & Bar (7:00 – 9:00). –Monday Night Dance Party at Old Vines Wine Bar (9:00 – 11:30).